One day you’ll learn that your parents are not as dumb as you may think. As I am writing this, I feel fairly confident that I am reasonably intelligent. I make calculated decisions based on educated opinions. However, I am certain that a year from now I will inevitably view this version of myself as stupid. Over the last 8 years, I’ve learned to appreciate moving forward and admitting my younger self was considerably less intelligent than my current self; and that, kiddo, is learning. 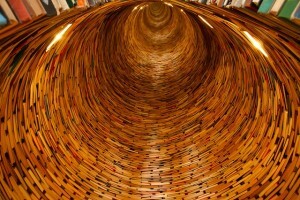 Now I have to find out where this book tunnel is, and sniff it. There will be a next phase that people rarely speak of, maybe because it’s disrespectful as all hell: you will eventually be smarter than your parents. Not only will I avoid offense, but I will be in your corner. I want you to learn from my mistakes, make better decisions than I, and eventually become a better person as well. This is, after all, the point of all these words on this website. You will one day be smarter than I am, and when the time comes, I’ll won’t be ashamed to admit it. As generations progress, we grow and we evolve, either socially or physically (ref: Darwin). As a species, one of many, we have not truly achieved our final form (ref: Dragon Ball Z), despite the will of some to consider us as such. And if we have truly reached our apex, then I will consider us a failed attempt at. We are being, but we are not being great. As it stands, we’ve come close. We’re self aware, which is cool. We’ve built monuments, ventured into space, and troweled the depths of the Mariana Trench (thanks for taking that ray of sunshine, James Cameron). We’ve delved into philosophy and mathematics and science. We tamed fire, which comes in handy for frying chicken, our greatest achievement, the chicken. We Don’t Know How to be People, Yet. We still don’t quite understand what we’re doing. We haven’t grasped the value of life. We haven’t learned that we’re all living, every human, for the same purpose, and that’s to be better than the generation before us. You’ll see hatred and bigotry everywhere, cruelty and persecution. We have not reached our final form, but we’ve come a long way, with much further to go. There’s hope yet; hope for the next generation: your generation. Make sure to bring plenty of whiskey and toilet paper. But seriously, the whiskey. Maybe poop in the empty bottles? Next lesson: resourcefulness. My generation has made some great strides, despite the contents of my Facebook feed, which would thoroughly dishearten just about anyone that isn’t white, heterosexual, and Christian–also, maybe, ignore most of what your native state has to say about politics or freedoms, I’m sorry I wasn’t able to get you to a place that’s more open-minded. 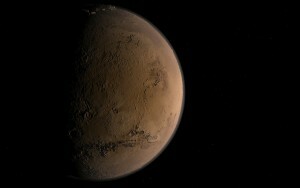 Hey, and if things don’t work out here, there’s always Mars, right? Let’s just start a colony with a strict no-assholes policy.